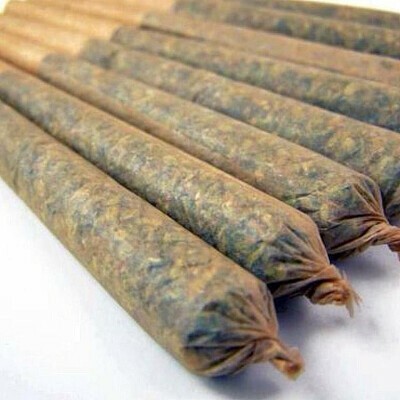 Hand-filled natural paper cone prerolls. Our top shelf single strains made into a cone preroll with unbleached natural paper and tip. We make it fresh on demand from our current menu. Please choose a specific strain or ask for indica, hybrid or sativa. Bud mix of all the strains we carry made into a cone preroll with unbleached natural rolling paper and paper tip. Bud only. No trim or fillers.